Hansraj Behl is one of the music directors who became successful in the post independence era. He provided music for not only Hindi films but also for Punjabi films. Hansraj was born on 19 November 1916 in Punjab. He got his basic education in music from Pt. Chunnilal. Then he opened his music school in Lahore and got released some non-film records for HMV. In 1944 Hansraj came to Bombay to try his luck in Hindi film industry as a music director. After one year of struggle he got his first film Pujari, made by Ardeshir Irani, in 1946. He got films like Gwaalan and Phulwaari in the same year, but all these films could not do well at the box office. Behl tasted success in 1947 with the release of Laakhon Mein Ek and Chheen Le Aazadi. 'Moti Chugne Gayi Re Hansi..' sung by Shamshad Begum and Mukesh from the film Chheen Le Aazadi became very popular. In 1948 he came up with four films - Chunariya, Mitti Ke Khilone, Pardesi Mehmaan and Satya Narayan, of which Chunariya's music was a hit especially the song 'Dil-e-Nashaad Ko Jeene Ki Hasrat Ho Gayi..' sung by Lata Mangeshkar. The song which placed him among high class music directors was 'Sab Kuchh Lutaya Hamne Aakar Teri Gali Me..' sung by Mohammed Rafi and written by Mulk Raj Bhaakri. In the year 1949 he came out with Chakori, Raat Ki Raani, Zevraat and few more films. Lata sang her one of the favourites song 'Haye Chanda Gaye Pardes Chakori Yahan Ro Ro Mare..' in Chakori, which became very popular and it helped Hansraj to gain popularity among music lovers. 'Jin Raaton Mein Neend Ud Jaati Hai..' sung by Mohammed Rafi in Raat Ki Raani was a nation wide hit. In 1950-51 he gave many hit songs with Lata Mangeshkar, Geeta Dutt and Suraiyya. Songs of Kisi Ki Yaad became very popular soon after the release of the film. 'Koi Mujhko Na Bulaye..' and ' Tadapta Chhod Kar Mujhko Kahaan Tum Reh Gaye..' both sung by Geeta Dutt and 'O Jaane Wale Ye Kya Kiya..' by Mohammed Rafi gained immense popularity. 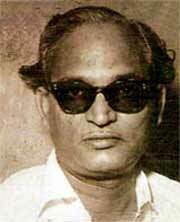 In 1952 he introduced Madhubala Jhaveri as a playback singer in Apni Izzat and Jaggu. Madhubala sang 'Dil Mere Tera Diwaana..' with Talat Mehmood and 'Meethi Meethi Loriyaan Main Dheere Dheere Gaoon..' (both Apni Izzat) featured her solo voice. In 1954, he again came out with musical films like Dost and Khaiber. 'Aaye Bhi Akela Jaye Bhi Akela..' from Dost (1954) sung by Talat Mehmood was his one of the perfect compositions. He continued to give his best compostions in the films like Rajdhani, Milan, Miss Bombay, Changez Khan and Saawan. Songs like 'Bhool Ja Sapne Suhane..' from Rajdhani (1956), 'Mohabbat Zinda rehti Hai..' from Changez Khan (1957), ' Jab Raat Nahi Katti..' from Changez Khan (1957), 'Zindagi Bhar Gham Judaai Ka..' from Miss Bombay (1957), 'Haseen Ho Khuda To Nahi..' from Mud Mud Ke Na Dekh (1960), 'Bheega Bheega Pyar Ka Sama..' from Saawan (1959) and 'Tujhko Dhoondhu To Dhoondhu Kahaan..' from Milan (1959) crossed all the barriers of success and Hansraj Behl's name was on the tongue of every music lover. After all these successful films he continued to give music till 1969 but failed to give any hit because his later films were either stunts or fantasy films with little scope of having good music. His last hit song was an all time great creation 'Jahan Daal Daal Pe Sone Ki Chidiya Karti Hai Basera..' which was sung by Mohammed Rafi for the film Sikandar-e-Aazam in 1965.